French physician; born in Paris Jan. 24, 1830; died there April 15, 1898; educated at the University of Strasburg (M.D. 1852). From 1853 to 1854 he acted as an assistant at the military medical school in Paris, and from 1854 to 1858 as first assistant surgeon of an infantry regiment. He took part in the Crimean war as a surgeon; was from 1858 to 1864 assistant physician at the Gros-Caillou Hospital in Paris; and from 1865 to 1875 was surgeon at the Rothschild Hospital. 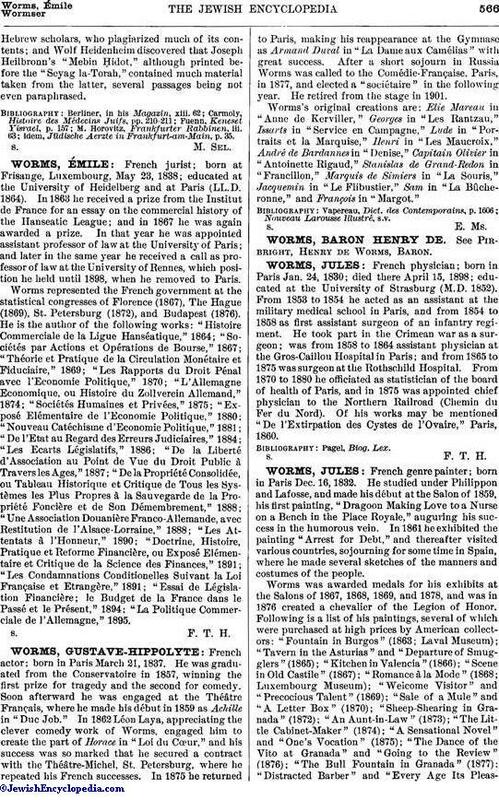 From 1870 to 1880 he officiated as statistician of the board of health of Paris, and in 1875 was appointed chief physician to the Northern Railroad (Chemin du Fer du Nord). Of his works may be mentioned "De l'Extirpation des Cystes de l'Ovaire," Paris, 1860.